Agency nurse Lynn Crane was delighted when she found employment at an isolated manor house in the Yorkshire countryside, but she quickly realized that all was not as it seemed. As she nursed her VIP patient, Serge Varda, Prince of Estavia, through a mysterious illness, an alarming truth began to emerge. 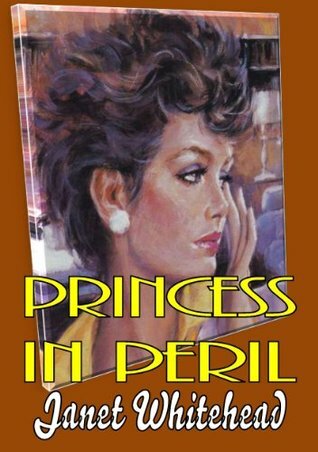 Her employers, Max Ozerov and the sinister Dr Miros, were planning to wrest control of the country from him. All at once the young couple found themselves fleeing for their very lives. With no one to turn to for help, they had to find a way to outwit the conspirators themselves. And if they survived, would the handsome Prince of Estavia take Lynn for his Princess? Before I begin my review I have to say that I really dislike the cover art on both editions. The Kindle picture is so outdated looking and the audio cover doesn't reflect the story. But as they say, you shouldn't judge a book by its cover. This book is short and entertaining. I enjoyed the gothic feel to the story. Lynn and her patient were isolated in a country mansion in Yorkshire and the people she worked for were suitably creepy which added to the atmosphere. I enjoyed the scenes where Lynn was slowly discovering that things were not as they seemed at the mansion and that she was looking after no ordinary patient. The story took many exciting turns as the pair made their escape. 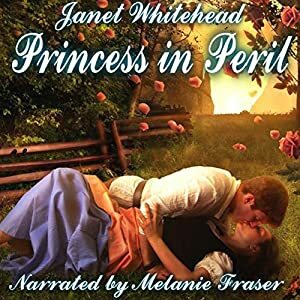 I was provided this audiobook at no charge by the narrator, Melanie Fraser, in exchange for an unbiased review via AudiobookBlast dot com. Not having read the print version I don't feel that I am suitably qualified to give an opinion as to which is better. I can tell you however, that this is an expertly narrated tale with perfect clarity of tone, expression and diversity in character voice.